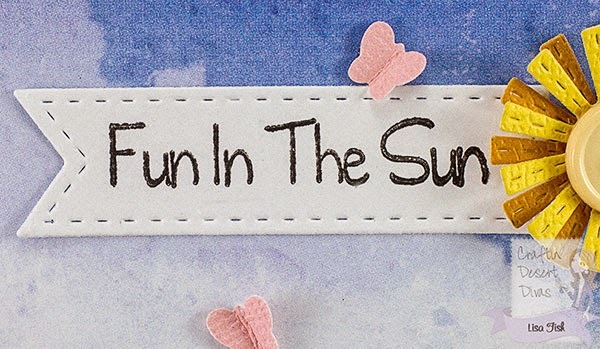 I hope you have fun plans for the weekend!! This is Lisa from A Mermaid's Crafts. 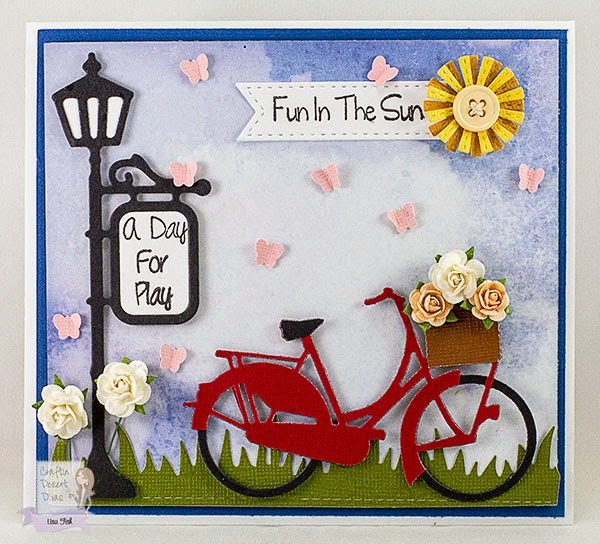 I have a springy card to share with you today featuring sentiments from Tara's Summer Lovin' stamp set!! When I think of spring, I think of flowers, sunshine, butterflies and bike rides. I tried to recreate that feeling with this card :) I used several different dies, flowers from Wild Orchid Crafts and a butterfly punch to set the scene. 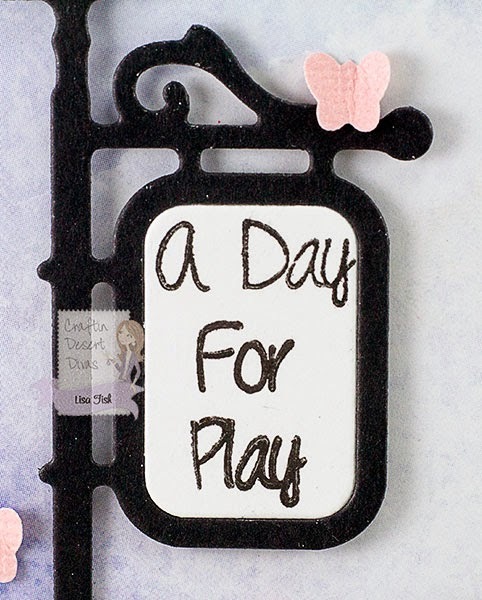 ...A Day For Play. For this one, I masked off the words to stamp it vertically. You can purchase this set, along with the Teenage Dream and Punny at the Craftin Desert Divas Shop. 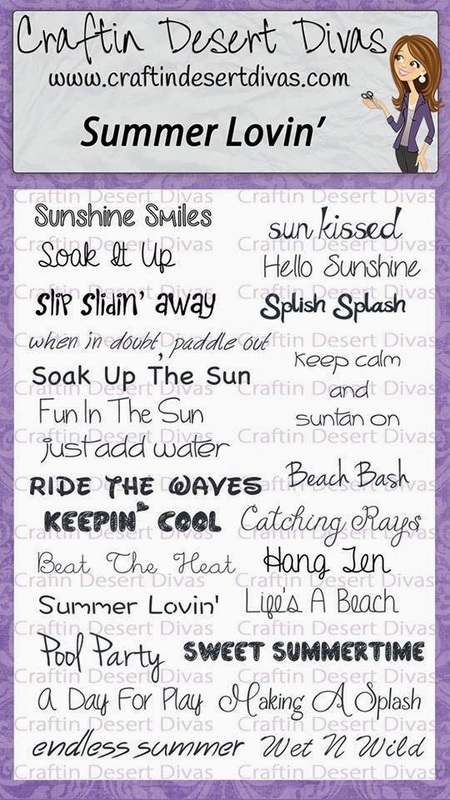 And we would love to see your projects using any of the three stamp sets in our Craftin Desert Divas Gallery. You can find all the details on this card on my blog, A Mermaid's Crafts. This card is just beautiful and shows summer love!! Such a BEAUTIFUL card! It totally screams summer which I can't wait for, lol! Such a beautiful card, everything looks perfect! Love your flowers in the basket and your cute sign. Your card does give us that summer feeling - beautiful!